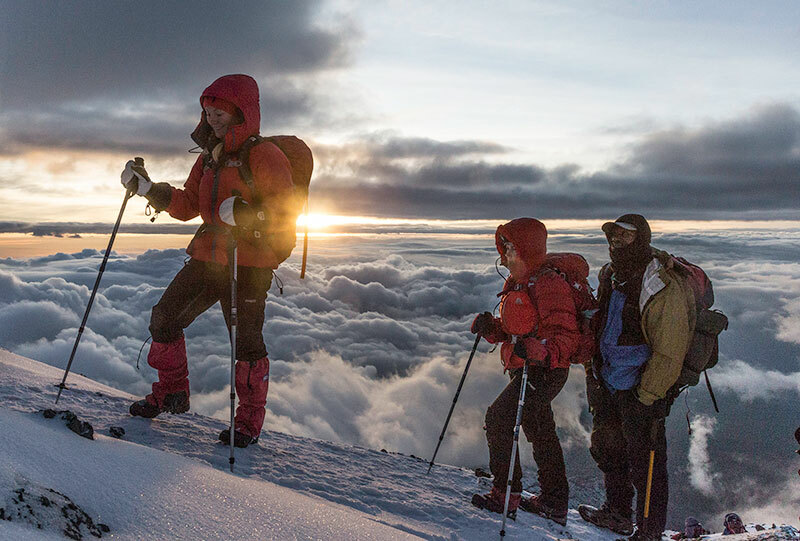 Want to learn more about climbing Kilimanjaro, the highest mountain in Africa? Contact us today and we will give you all the info you need. At 19,340 feet (5,895 meters), Mount Kilimanjaro is Africa’s highest peak and one of the prized 7 Summits (the highest mountain on each of the continents). 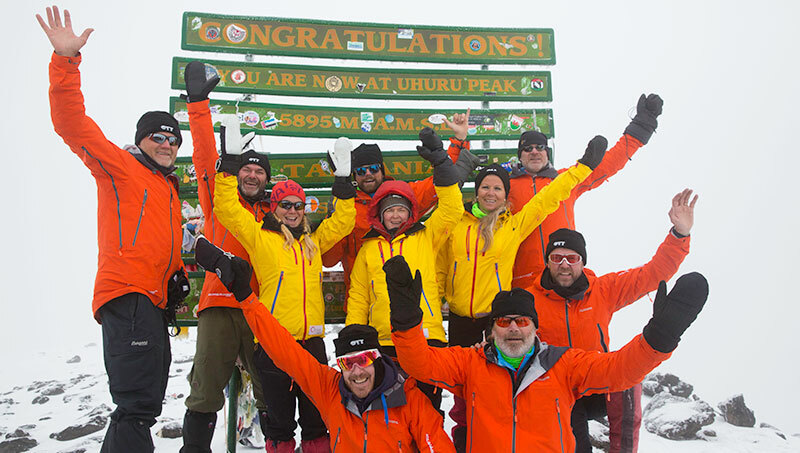 Join Mountain Professionals veteran mountain guides for this amazing journey to Africa and climb Kilimanjaro, one of the worlds most famous mountains. Our scheduled route of choice is the technically straightforward Machame Route. Climbing the Machame Route allows us an excellent opportunity to summit the mountain and is accessible to a wide range of experience levels. Good fitness is the key to the climb, there are no technical difficulties but we require our team members to have mental determination and good physical conditioning. As with any high mountain route, the potential for serious weather is always a possibility and we will be trekking at high altitudes. We will spend several days trekking on the mountain, gaining valuable acclimatization before making a summit attempt to the highest point known as Uhuru Peak. Our route is considered by many to be the most beautiful of the Kilimanjaro routes, with stunning views of the African plains and the retreating glaciers of Kilimanjaro. Your entire expedition will be organized and managed by our highly skilled professional Western and African staff for the adventure to “the roof of Africa”. All of the in country transportation, the on mountain services, food, tents, porters, and guides are included. While climbing to altitudes of close to 6,000 meters, you will benefit from the experience and judgment that Mountain Professionals provides. We will manage the conservative acclimatization schedule, coordinate the on mountain decisions, and look after the health and safety of each individual team member. We believe our well-structured and efficient style will give you the best opportunity for a safe, successful and above all fun experience in Africa. Our trip to Kilimanjaro with Mountain Professionals was amazing! I really appreciated the special effort made to help my mother (then 67 years old!) through some of the more difficult sections of the hike. Dave was always prepared with answers to questions and stories to keep us entertained. Dave was always professional and very knowledgeable in the alpine environment; which kept us ahead of any problems! Thanks to Dave and Mountain Professionals our longtime dream trip was nothing but a success! Day 1: Arrive at Kilimanjaro International Airport. Our team transports to our hotel in Moshi, which is located approximately one hour from the park. All planned services are included, transport, dinner and hotel. Day 2: Rest Day in Moshi to allow for time to relax after international flights. Shopping and explore the town. Day 3: From Moshi we transport to the Machame Park gate on the southwest side of Kilimanjaro. Here we trek through the lush forest and ferns, continue to our first camp at 3,000m. 5-6 hours walking. Day 4: Here we will hike out of the dense forest to a camp near Shira Cave at 3,840m. 4-5 hours walking. Day 5: From Shira, we will trek towards the Barranco Valley for a camp at 3,950m. Today we may take an acclimatization hike above our sleeping altitude. 5-6 hours. Day 6: Today we climb the eastern side of the valley and we will enjoy views of Kilimanjaro’s ice fields. We will continue trekking until we reach our camp in Karanga Valley. 4-5 hours of walking. Day 7: Here we will walk up to 4,750m. Make camp after a short hiking day and prepare for the summit attempt. 4 hours walking. Day 8: We leave very early this morning around 1 am heading towards Stella Point on the crater rim and on to Uhuru Peak. Congratulations on a safe and successful climb! We will descend back down to approximately 3,400m to camp. Day 9: From here we have a nice 5-6 hour trek to the park gate and transport vehicle. Return to Arusha for our team dinner celebration. 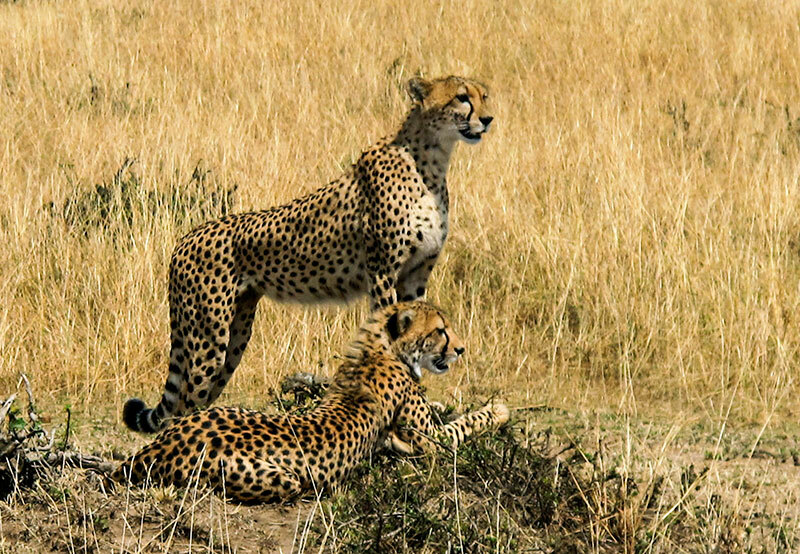 Day 10: Safari day in Tarangire National Park with overnight in Ngorongoro Wildlife Lodge. Day 11: Safari day in Ngorongoro Conservation Area with game drive and return to Arusha for evening at the Kibo Hotel. Day 12: Closure of group expedition. Transport to Kilimanjaro International Airport. Transfer from Kilimanjaro International Airport to and from Moshi. 4 Nights accommodation in Moshi/Arusha at fine hotels and safari with evening in Ngorongoro Wildlife Lodge at the crater rim. Transfer to and from Kilimanjaro Park Gate. Kilimanjaro National Park gate fees. African guide, assistant guides, porters and cooks. All meals and utensils on mountain. Camping equipment including tents, mattress, dome dining tent with table and chairs.